Madeira cake is a light, but close textured, rich sponge cake in traditional British cooking. 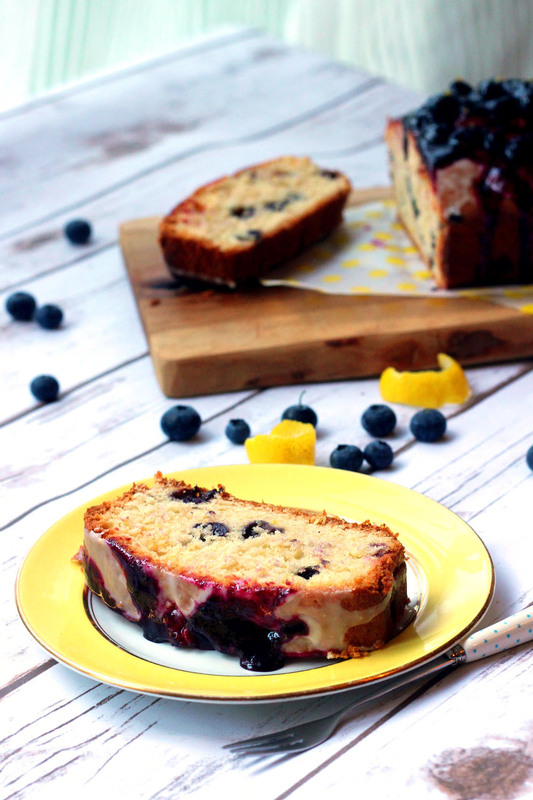 My Zesty Lemon and Blueberry Madeira is a twist on this classic bake. So who watched the Great British Bake Off this week? I did! Now don’t worry, I’m not going to start reviewing every episode but when I decided to post my Zesty Lemon and Blueberry Madeira Cake which was inspired by the show, I couldn’t help but comment on the contestants. First impressions were that the contestants weren’t as weird as the media would have liked us to think. From some of the articles I’d seen in the run up to the first episode you’d be forgiven for thinking they had deliberately got a bunch of weirdos on the show. But I think they all seem lovely! I don’t have a favourite just yet but Tamal’s Rose Water and Pistachio Madeira Cake sounded amazing – great flavour combination! Matt also got points from me with his Gin and Tonic Madeira Cake! Though i would have put a lot more gin in if I was making it… I think Sandy also has a lot of potential! Ugne is also definitely one to watch. She was pretty good in all three rounds and although they weren’t overly impressed with her Black forest Cake show stopper I still think she did really well. I wanted to keep mine semi-classic – after all the skill behind the Madeira is important – so I chose to stick with citrus in the sponge as well as some juicy blueberries from my very own blueberry bush. Although not entirely necessary, I chose to serve this with lemon icing and a drizzle of blueberry compote. 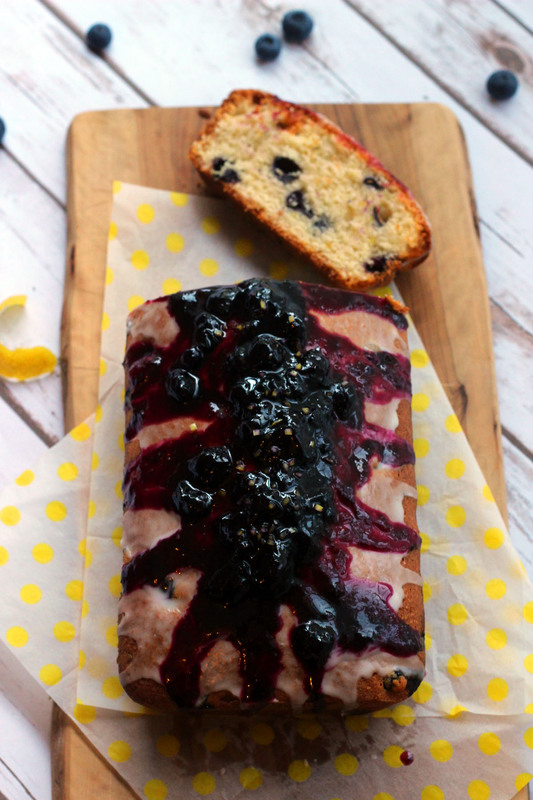 This zesty lemon and blueberry madeira cake was inspired by the Great British Bake Off! Begin by preheating your oven to gas mark 3 or 160C. Prepare a loaf tin by either lining the tin with greaseproof paper or greasing with a little butter and a coating of flour. In a large bowl, cream together the butter and 175g of the sugar (keep the rest to one side) until it is light, soft, creamy and pale. Whisk the eggs together in a small bowl, then add to the creamed butter and sugar a little at a time, mixing well in between each addition. Add in the lemon zest and vanilla. Next, fold in the flour and almonds until you have a thick batter. Add in the milk to loosen slightly before stirring in 100g of the blueberries (place the rest to one side). Spoon the batter into the load tin and level out. Bake in the centre of your oven for an hour or until it is golden on top and a skewer poked into the middle comes out clean. Leave to cool in the tin completely before tipping out on to a wire wrack. To make the lemon icing, simply mix the lemon juice and icing sugar until a thin runny consistency. Add a little extra water if necessary. For the blueberry compote, simply heat the blueberries with the sugar in a small pan until the sugar is dissolved and the blueberries have burst. Before serving, drizzle the lemon icing and blueberry compote across the top of the cake. As Mary told us, Madeira Cake should have a good crack on top. I’ve hidden mine with a very generous helping of blueberry compote but it is there I promise! The crack is so large it resembled the grand canyon! The cake itself was light and bouncy. The blueberries were well dispersed and unlike some of the GBBO bakers, my fruit hadn’t fallen to the bottom. The lemon drizzle icing really gives the cake an extra kick. I loved this! I think it might be my go to recipe for bake sales now. Just one of these simple loaf cakes can serve 16 people. It slices easily making it very easy to sell in slices. 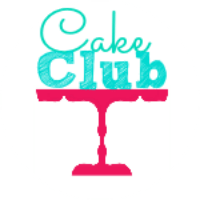 I’m also sharing this with the Kerry Cooks Blog Cake Club, a monthly link up where food bloggers share their cakes. Were you inspired by this week’s Bake Off? Who were your favourite contestants. I’d love to hear in the comments below! I love this cake- my favourite flavours. I have not been too much into the bake off this year but will no doubt get more engaged as it goes on! Thanks Emily! I also have some blueberry and lemon curd muffins on here somewhere! They are delish! Lemon and blackberries is one of my favorite combinations! This cake looks sooo good YUM! Looks so good, I love lemon and blueberry. Thinking back now I am surprised no one on GBBO added fruit like we both did. Such innovators here! Haha we are clearly better than all of them 😉 damson is such an original idea too! Paul and Mary would’ve been impressed with you! Great looking cake – I also picked madeira to make. I haven’t decided on my favourite yet, but the other Paul (not Hollywood) is almost as scary as his namesake. Haha the likeness is uncanny isn’t it!!! This looks SO yummy! 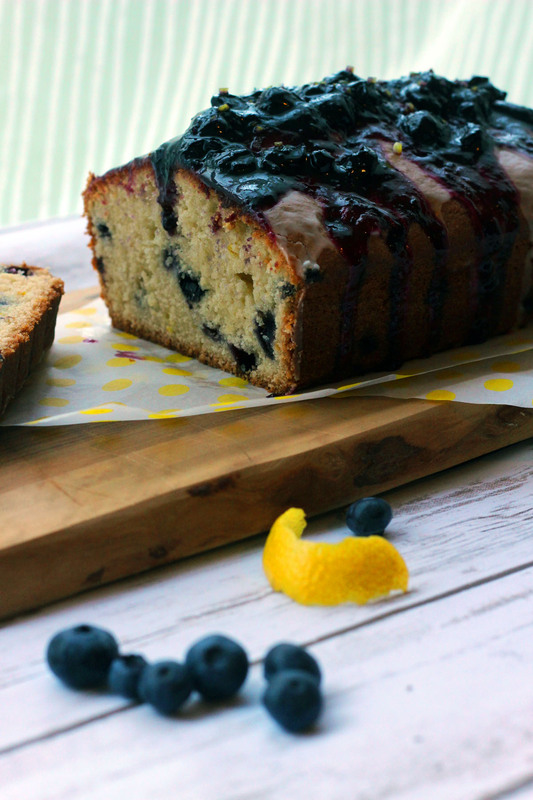 Love lemon and blueberry together – thanks for entering it into this month’s Cake Club! That glaze on top and those blueberries are just calling my name! Now that blueberry is in season, I’m all about everything blueberry! I’ve got to start watching the show – everyone keeps talking about it! Love the flavor combo in this! I’d love to see a gluten free version! The compote is just 1/2 cup of water, 1/2 cup of sugar and 2 cups blueberries in a pan. Heat low and let the sugar melt. The blueberries will start to pop. Let it all simmer gently until thick and sticky 🙂 I like to add a little lemon zest or star anise to it as well. Enjoy! Didn’t get to see the British Bakeoff – but your blueberry cake looks spot on delicious! Thanks Lisa! I’m looking forward to the next series. Can’t be long now! Sounds fun! This looks amazing!! I love the topping! Thanks Gwen. Blueberry compote is so easy to make. Just 1/2 cup water 1/2 cup sugar and 2 cups blueberries. Pop it all in a pan and simmer until thick and sticky. It’s delicious!